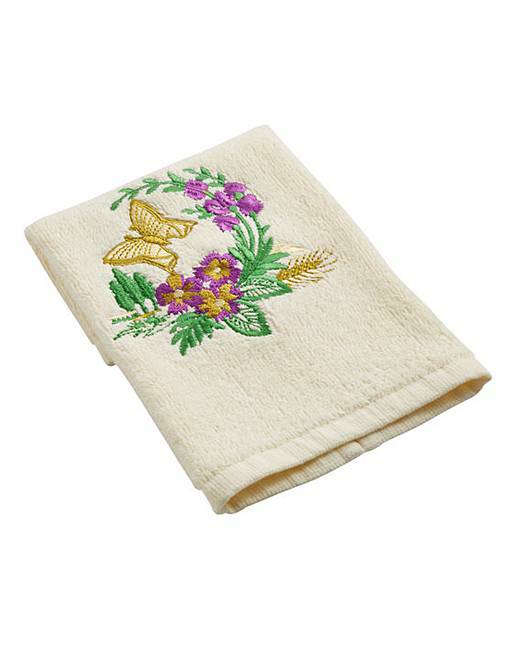 Personalised Butterfly Hand Towel Set is rated 4.5 out of 5 by 8. 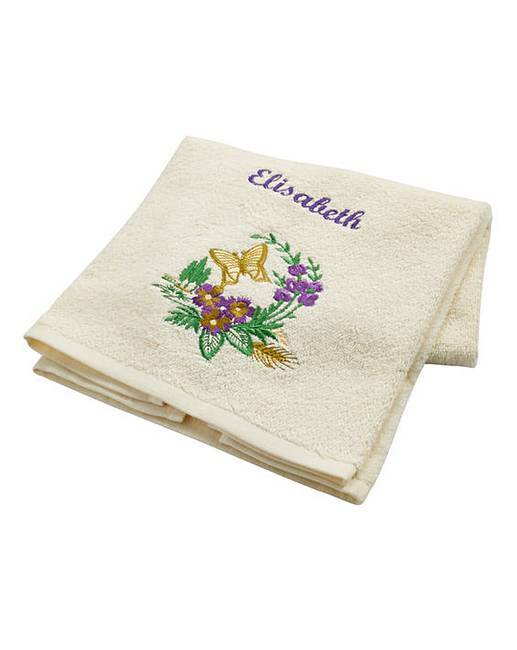 Personalised butterfly hand towel set. Personalise with a name up to 15 characters. Rated 5 out of 5 by Frederica from Nice Gift Towel I have bought this a few times for family birthdays/ Christmas presents. Everyone likes them. The quality of the towel is very soft. I got one for myself aswell on special offer and it boosts self-esteem. Rated 5 out of 5 by Rachel from Nice quality I brought this as a present for my grandmother. Nice quality and arrived very promptly at a busy time of year. Rated 5 out of 5 by Poshladyjane from Novel idea! Bought this as part of a Christmas present for a friend. She loves the gift. 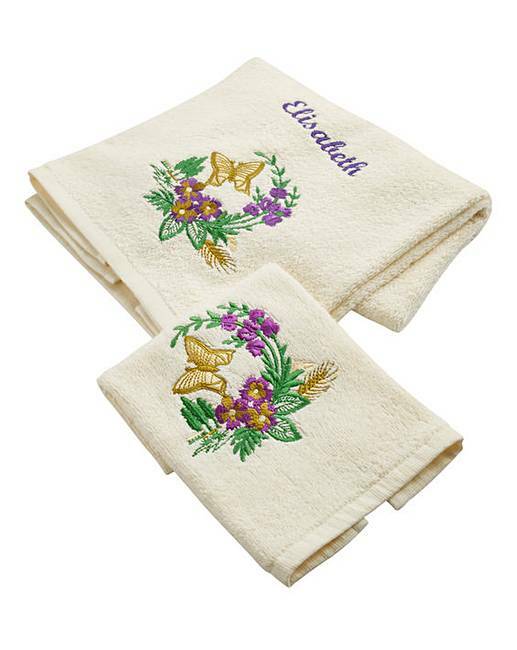 Rated 3 out of 5 by Nan of 9 from Embroidered towels Bought as Xmas gifts, not the quality I was expecting & surprised that only the hand towel was personalized but not the face cloth although it was sold as a set. I was not happy to give these as a present. Would have returned if they had arrived earlier.